As we looked through our plane’s window, we saw clear, calm, blue waters. We were approaching Puerto Princesa airport. The plane was about to land but I still saw waters all around. It felt like the plane’s going to land on water. We were so excited upon seeing the vast, blue, clear waters. We felt a great adventure lies before us. We planned to explore the islands of El Nido, famous for its island hopping, and considered by many to be the best in the world. But before that, we have 1 night and 2 days in Puerto Princesa, originally designed to visit the Underground River, one of the 7 Wonders of Nature and a UNESCO World Heritage Site. Our tour agency, upon seeing our itinerary decided we do a City Tour, as well. It sounds good, so we agreed. Although I haven’t been to El Nido yet, this is not my first time in Puerto Princesa. I had the opportunity to visit this city in 1996 with my dad. I was just 12 years old, then. Memories are still fresh. I remembered our tours, especially the Crocodile Farm and Mitra’s Resthouse. Puerto Princesa is known to be the cleanest and greenest city in the Philippines. Their then mayor, the late Edward Hagedorn made it to be one of the most well-disciplined cities in the country. I wanted to see more of the city and compare it to when I first came here 20 years ago. My friends were excited, as well. This was their first time in the Philippines. After a hearty lunch at a nearby restaurant near our hostel, our van arrived. Our guide gave us a briefing of the tour inside the van. He continued talking while the van was taking us to our destinations. He gave us facts and informed us of the history of the city and the island, as a whole. We did a “running tour,”-which means just passing by and having a look while inside the van-at the City Baywalk, it is similar to Manila’s Baywalk. Then stopped at Plaza Cuartel and Immaculate Concepcion Cathedral. This is a good opportunity for foreign tourists to experience a Catholic church in the country. Plaza Cuartel provided us some history regarding World War II. Next stop was the shopping part. We went to a Souvenir Shop. Shopping is part of traveling, right? I suggest buy your souvenirs here, because they are more expensive in El Nido. The shops are nice and the sellers are not aggressive. Usually these kinds of places, sellers are aggressive, like for example, Bangkok’s Pratunam, Ben Than Market in Saigon, and Beijing’s Silk Market. But here, people are nice and kind. One of the things I love about Palawan. Our guide asked us to choose between Crocodile Farm and Butterfly Sanctuary. We all decided to go to the sanctuary when he mentioned that some of the mountain tribes called Palaw’an are there to share their culture. This was my favorite part of the tour. It was so informative. 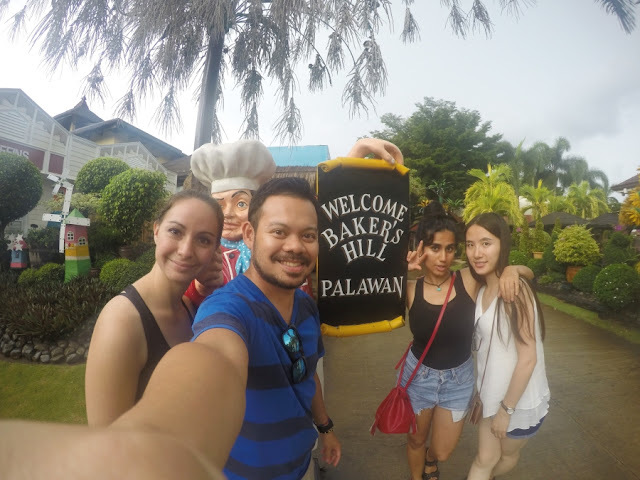 We’ve learned a lot about Palawan’s ecosystem, biodiversity, insects, animals, flora and a lot more. Then, the Palaw’an tribe showcased their skills in hunting, music, fire making, etc. It was so fulfilling. I suggest do this instead of the Crocodile Farm. Anyway, you can have that in a lot of places in the world, but for the Palaw’an tribe, who still rely on the forests for almost everything, it is only here where you can find them. I remembered going here when I was 12 years old. Majestic view, beautiful and unique infrastructure. I was thinking of having some good photo opportunities with my friends. But unfortunately, it was drizzling and foggy, so the guide just decided to have a “running tour”. Boo… But we were able to at least, see the rest house and the beautiful mountain views. Before this tour, I always wondered why would a bakery be part of a tour. Its like, what the… Go to a bakery to buy bread during a tour? But upon arrival at Baker’s Hill and the guide’s explanation, it became my 2nd favorite part of the tour. “It’s our mini-Disneyland," said the guide, and I can see why. It’s not just a bakery but a lovely western-themed park . Statues, restaurants, playground, gardens, it’s simply a wonderful place to relax. And the bread and pastries? Delicious. I ordered Ube Hopia (Purple yam mooncake). More yam? 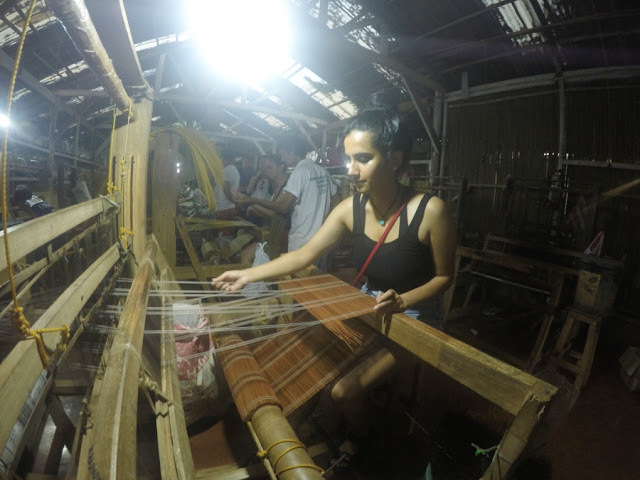 The final stop of our tour, a weaving center. Here, we were able to witness live weaving. It’s amazing how these locals do this thing. It’s so laborious, and requires some art. Kudos to these people for doing these amazing job thus preserving their culture. You can also buy their finished product. And please buy from them so you can help them and help preserve their culture, too. Some of my friends were given the opportunity to try it. At around 4:30 pm, we head back to our hostel and went to a carinderia for dinner. 20 years ago, naturally Puerto Princesa was more laid-back. I remember going to Mitra’s Resthouse before, it was just us on the road. But I’m glad it’s still clean and peaceful nowadays. The guide mentioned that crime rate here is almost 0, and there are no policemen around except for the Tourists Police that are stationed in Nipa Huts all over the city. 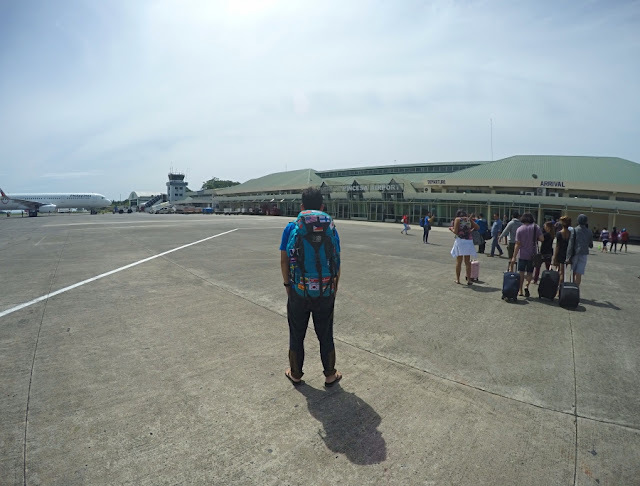 When in Puerto Princesa, take time to explore the city and learn more about your destination.